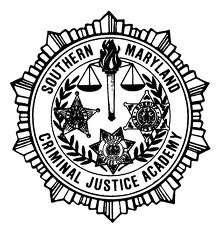 The Southern Maryland Criminal Justice Academy (SMCJA), founded in 1988, is a regional police and corrections training academy that serves the Sheriffs’ Offices of Calvert, Charles, and St. Mary’s Counties. In addition, numerous other outside agencies also participate in annual training at the academy. The Calvert County Sheriff's Office provides one full-time staff instructor and two full-time civilian support staff persons. The SMCJA conducts entry-level police and corrections classes, as well as in-service training for police and corrections.